How much flight time did Amelia Earhart really have? Invariably, the main objection raised by critics of what has long been popularly known as the “Marshall Islands landing theory,” but which I prefer to call “Amelia Earhart’s Mili Atoll landfall,” is that the Electra did not have enough fuel reserves to fly another 600 to 800 miles to reach the southernmost Marshall Islands from an area presumed to be somewhere north of Howland Island. The most well-known proponent of this idea is the renowned aviator and author Elgen M. Long, whose 1999 book, Amelia Earhart: The Mystery Solved, co-written with his wife, Marie, has become the bible of “crashed-and-sank” advocates. 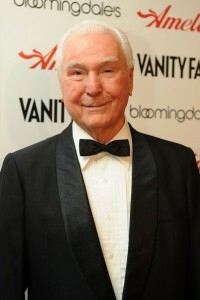 Elgen M. Long, the well known public face of the Navy’s archaic “crashed-and-sank” verdict in the Earhart case, which became such an anachronism by the late 1980s that the establishment decided to adopt the equally erroneous TIGHAR-Nikumaroro “hypothesis” as its most- favored Earhart disappearance theory. The truth about the “crashed-and-sank” theory, which is nothing more than the original 1937 Navy and Coast Guard reports, is that never has even the smallest shred of physical, eyewitness or even anecdotal evidence been found to support it. In fact, as the years passed and the Saipan witnesses grew from dozens of native Saipanese to include the 26 American GIs who came forward to tell Thomas E. Devine of their experiences on Saipan during the summer of 1944 that revealed the presence and deaths of Earhart and Fred Noonan, the establishment was forced to find another, more plausible theory to explain Amelia’s disappearance. The crashed-and-sank idea was simply no longer selling well among the masses, and had become an anachronism. In his book, Long, who set 15 world records while flying solo around the world over both the North and South Poles in 1971, presents a lengthy and, at first glance, impressive analysis of the final flight. Largely echoing the conclusions of the Navy and Coast Guard searches, Long believes the Electra’s fuel ran out shortly after Earhart’s last message, and she was forced to ditch the plane somewhere within 100 miles of Howland Island. Instead of the strong headwind Long says was forcing Earhart to decrease her air speed, Reineck says the increased ground speed reflected “a tailwind component for that period of the flight,” a normal condition the Electra might encounter in the intertropical convergence zone where winds tend to vary. At 5:18 p.m. (0718 GMT), seven hours, eighteen minutes after takeoff, Earhart reported her position as 4.33 south, 159.7 east, at 8,000 feet over cumulus clouds with winds at 23 knots. Long claims the wind was a 26.5 mph headwind, but doesn’t explain how he knows that, Reineck observed. Somewhere in England, circa 1942, a young Lt. Rollin C. Reineck prepares for another perilous bombing mission over Nazi Germany. Throughout his analysis, Reineck demonstrates how Long’s erroneous assumptions conspire to exhaust the Electra’s fuel supply earlier than planned, preventing the fliers from reaching Howland Island. Reineck also debunked Long’s statement that the navigational chart Noonan used had missed Howland’s true location by six miles, when in fact Itasca had correctly charted the Line Islands, including Howland, in August 1936, and the correct charts were in Noonan’s possession during the flight. “Long, by changing certain facts, using poor information and bad assumptions would have the reader believe that Earhart ran out of gas some 20 hours and 32 minutes after she left Lae, New Guinea,” Reineck wrote. “He changed GROUND SPEED to TRUE AIR SPEED. He said a wind reported was from a CERTAIN DIRECTION when in fact the radio communication DID NOT GIVE ANY DIRECTION. … The truth is that Earhart, maintaining a true air speed of 150 MPH and using the power settings provided her by Lockheed, had over 24 hours of flying time ahead of her. When she called in at 1912 GCT, she had flown approximately 2556 miles … at an average ground speed of 133 MPH. 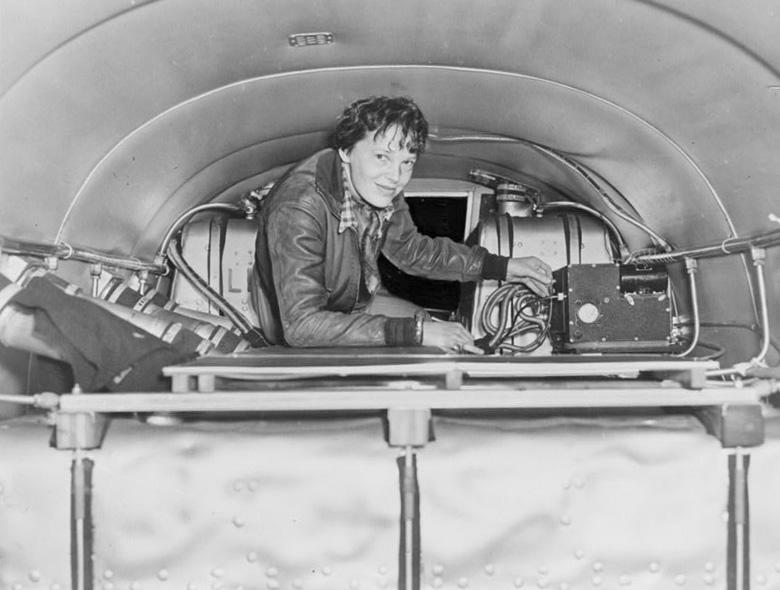 “There has been much controversy over the Electra’s ultimate time-in-air before fuel exhaustion,” Bill Prymak wrote in his analysis, “Radio Log – Earhart/Itasca,” which appeared in the December 1993 edition of the Amelia Earhart Society Newsletter and was discussed in an earlier post on this blog. “Let me set the record straight,” Prymak wrote.” This issue was discussed at length with Art Kennedy, who had overhauled her engines prior to the second attempt, and who calibrated her engines with PRATT & WHITNEY factory test equipment. We carefully went over his test cell engine records, and barring fuel cell leakage and gross mixture control mismanagement, she had between 4.5 and 5.5 hours of fuel remaining after her 20:14 [8:44 am Howland Time] transmission. Amelia looks over the extra fuel tanks in the fuselage of her Electra 10E. Upon her departure from Lae, New Guinea, the Electra had at least 1,100 gallons of fuel and 26 hours of flight time, according to the most reliable estimates we have. Four years later, another Prymak analysis, “How Much Fly-Time Did She Really Have?” appeared in the May 1997 edition of the AES Newsletter. 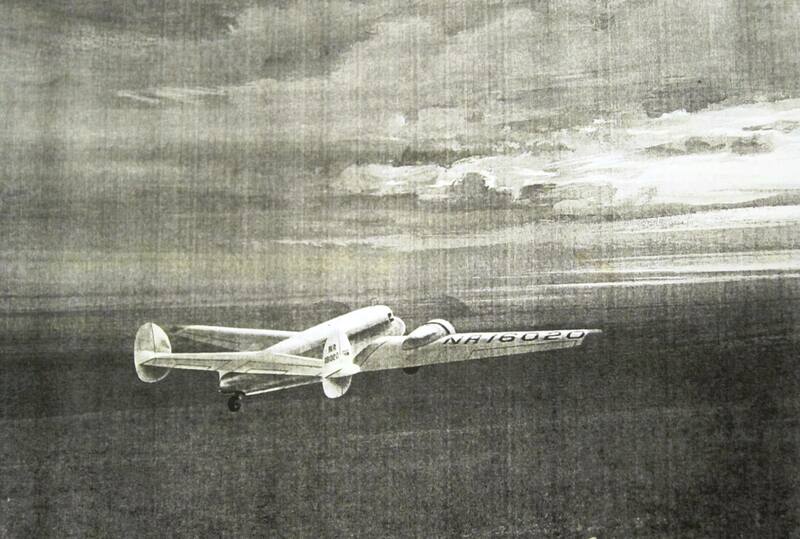 In this article, Prymak approached the question of the Electra’s fuel consumption from another angle, applying the plane’s performance during its 2,400-mile Oakland to Honolulu flight in March 1937 to the 2,556-mile Lae-Howland trip. Prymak found that the Electra consumed 617 of the 947 gallons it held during the fifteen-hour, fifteen-minute Honolulu flight, for an average per-hour burn rate of 38.97 gallons he rounded off to forty gallons per hour. At Lae, loaded with 200 more gallons (1,200 pounds) but with two less people than the Oakland-Honolulu flight, Prymak estimated the plane was about 800 pounds heavier, and added one gallon per hour for the trip. 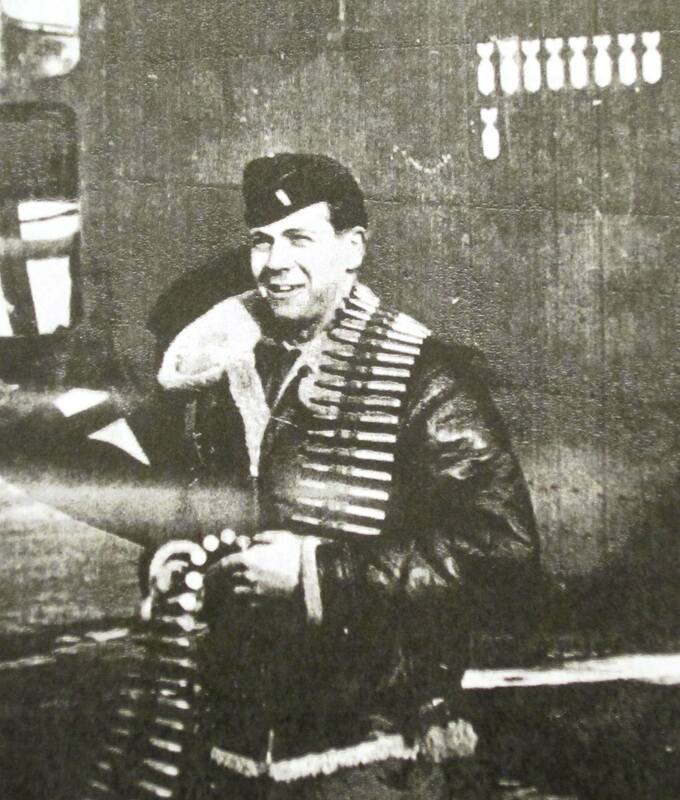 He added another gallon per hour in consideration of the plane’s climb to higher altitudes after leaving Lae. We should remember that no one knows where the Electra was actually located along the 157-337 line of position Earhart reported in her last transmission. Most believe she was referring to a sun line, the angle of the sun just as it broke above the horizon, and the July 2, 1937 Nautical Almanac confirms that at 1756 GMT in the area of Howland Island, the sun’s line of position was 157º – 337º. But a line of position does not establish a location, and a precise “fix” is only possible if combined with a point of reference — a landmark or a radio bearing, for example. As Vincent V. Loomis put it, “Flying a line of position was like driving an interstate highway without knowing which exit to take for the destination.” During his 1981 scale-model tests of the Electra’s transmission capabilities, Paul Rafford Jr. collaborated with Loomis, who wanted to know how far north of Howland Island the Electra could have been when her last messages was heard at a strength 5 of 5. Rafford’s computer analysis determined Earhart’s last messages would have come in full strength even though the aircraft could have been 150 miles north-northwest of Howland. In his 1985 book, Amelia Earhart: The Final Story, Loomis suggested that the fliers, lost and turning westward for the Gilberts, were so far north of Howland they found landfall at Mili Atoll in the southeastern Marshall Islands. It was pure speculation, of course, based on numerous variables and guesses, but among Loomis’ greatest contributions to the Earhart saga are the eyewitnesses — Mrs. Clement, Jororo and Lijon — who told him of seeing the downed fliers near Barre Island. In March 2009, I asked Rafford if he still endorsed his findings as reported by Loomis. “Nearly 25 years have passed since the Loomis book came out and I lost my copy some time ago,” Rafford wrote in an e-mail. “However, I can say that today I wouldn’t stand behind a claim that Earhart was 150 miles north-northwest whenshe claimed, ‘We must be on you. '” In the years following his early 1980s work with Loomis, Rafford developed a more radical theory, “The Earhart Radio Deception,” which we examined in October 2014, and which Rafford presented in his 2006 book, Amelia Earhart’s Radio. Interesting. There are many factors that will forever be debated or in doubt: Altitude adjustments after leaving Lae and fuel burn incurred, head wind variations, the “cloudy” or “overcast” message, even a tendency on Amelia’s part to drift to the left. I truly doubt she had six hours of fuel remaining when she transmitted “We must be on you, etc” message. That’s roughly 25% of the estimated 24 hours of flight time under optimum conditions that Kelly Johnson estimated ? I guess each Expert has their own take on fuel burn, headwinds, Fred’s navigation etc. It would be interesting if you could get them all together in one room and tell them they can’t leave until they can come up with some common denominators and agreement. NR 16020’s endurance at July 2 , 1937 , was 20h14m , for 2,852 st.miles to ferry . Computation either by aircraft’s mean weight , or by application of its specifications in Breguet’s algorithm . Those arriving at a longer endurance have not calculated for a diminshed glide path figure Cl/Cd due to the continuous lateral up-steering against crosswinds injuring upwards the magnitude of air drag . I was listening to your interview on Red Ice. Did you go to any of these areas in person where Amelia was purported to have been seen…….Or is this all research done through archival digging? “Archival digging”? You obviously haven’t been the archives lately, Pam, or you would already know the answer to that question. The “archives,” notably the National Archives Records Administration (NARA) at College Park, Md., Washington, D.C. and other locations nationwide, have been thoroughly cleansed of any evidence that reveals the truth in the Earhart case, with rare exceptions. I hope you aren’t questioning my and others’ findings because we may not have personally been to the Marshalls and Saipan, where thousands of people actually do live and remain completely ignorant about the native witness testimony, the GIs accounts and other facts that reveal the truth about Earhart’s presence and death there. When I talked to witnesses, such as the GIs I interviewed in the late 1980s and 1990s, I say so in the book. Many things went into this book, but a trip to Saipan was not necessary at this late date. All the significant work has been done by the intrepid researchers who’ve been there since Fred Goerner’s first visit in June 1960, and proper credit is always given. I was taught the basics of responsible journalism during my formative years in the Navy, and have never claimed others’ work as my own. No exceptions.